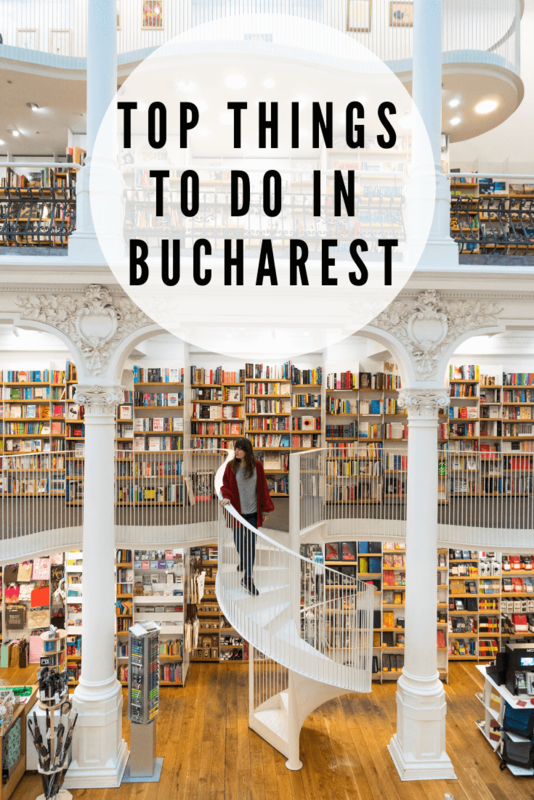 Considering it’s the capital city of Romania, it’s perhaps unsurprising that there are plenty of amazing places to visit and things to do in Bucharest. The city is home to beautiful architecture, stunning palaces, a charming Old Town with vibrant nightlife and much more! One thing though that really makes Bucharest stand out amongst other European destinations is the fascinating history of the city, in particular the Romanian Revolution which led to the fall of communism in 1989. On top of this, Romania and its capital city are substantially cheaper than many of the more visited cities in Europe, making it an ideal city break if you’re planning to travel on a budget. If you’re planning to visit and are wondering where to go and what to see in Bucharest, then we’re here to help. 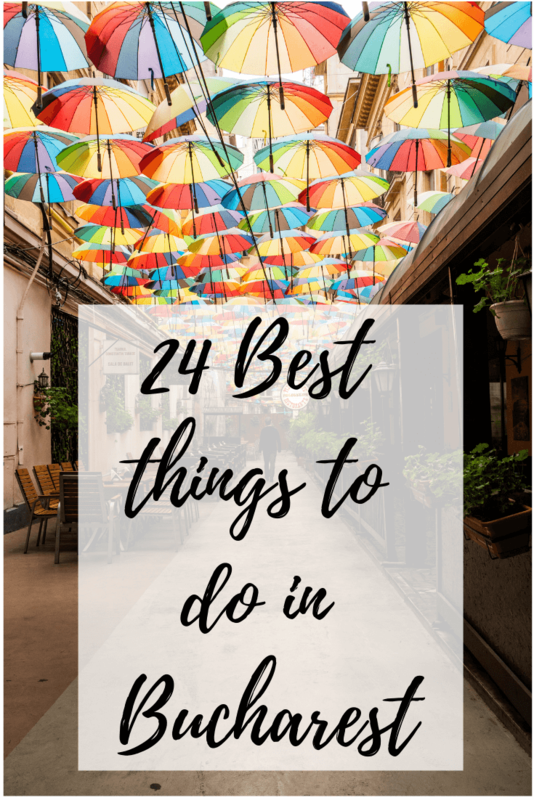 After spending almost a week discovering the ins and outs of the city, we’ve come up with a list of the best places to see and things to do in Bucharest! 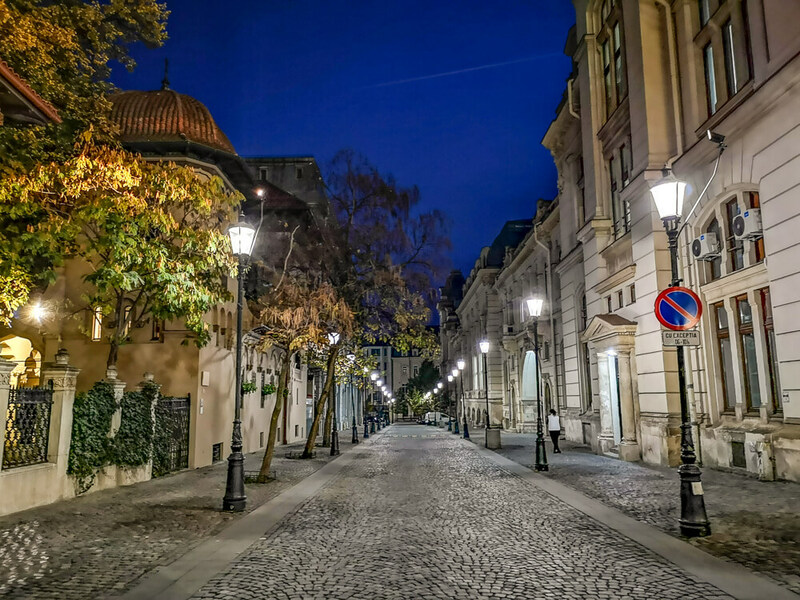 The Old Town of Bucharest is the heart of the city, complete with historic buildings and a vibrant nightlife. In fact, the Old Town is the main area of the city that survived both World War 2 and the communist rule in Romania. There are a number of specific sights to visit in the area, but you should also take the time to simply wander the streets and enjoy the historical centre of the city. Many of the streets in the area are still named after the types of vendors that they used to be home to, such as Selari (Saddlers) and Bacani (Grocers). In recent years Bucharest’s Old Town has undergone significant redevelopment to create a busy entertainment district complete with numerous restaurants, bars and clubs. It’s one of the best areas to stay in the city due to its central location, making it a great place for exploring as well as enjoying a drink or two in the evening! The Palace of the Parliament is currently the largest building in Bucharest and is the second largest administrative building in the world after the Pentagon. Its grandiose appearance and beautiful architecture make it one of the most impressive buildings in the city. The palace is so big that it contains over 1,000 rooms as well as the largest rug in the world! The Parliament Palace is a truly colossal building, and is a must see during your time in Bucharest. If seeing the outside isn’t enough for you, then you can also take a tour of the palace for as little as 40 lei per person. Click here for information about booking a tour of the Palace of Parliament. If you’re visiting during September you may be able to witness the brilliant iMapp Bucharest – a 3D video mapping contest which sees fabulous displays projected onto the palace. It’s said to be a true spectacle, so we strongly recommending checking out the iMapp Bucharest website to see the latest information regarding the date of the next contest! The towering Arcul de Triumf (Arch of Triumph) is one of Bucharest’s most famous landmarks. 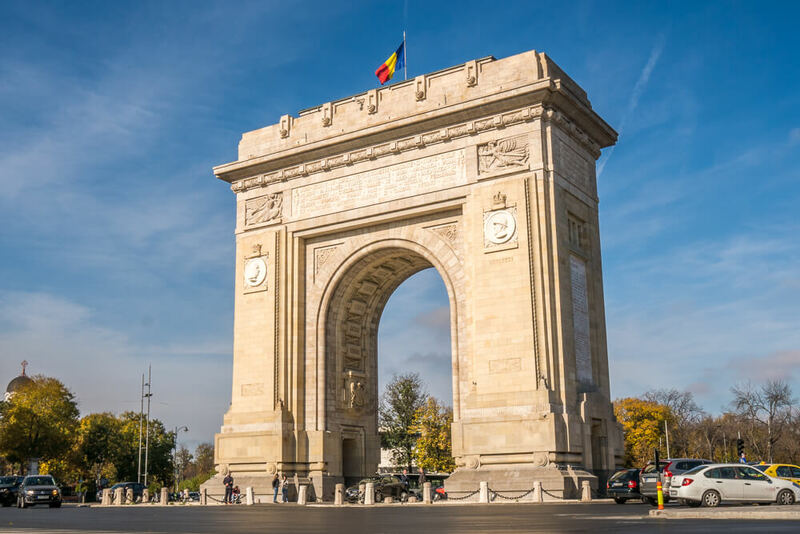 First erected in 1878, the original arch was made of wood and was built in a hurry for troops to march under after Romania gained its independence. In 1922, the arch was rebuilt to commemorate the efforts of Romania in the First World War. As the decorative features of the arch were made from plaster they began to deteriorate over time. Due to this deterioration, the arch was rebuilt once more – this time out of stone. The Arcul de Triumf was unveiled in its current form in 1936. As the arch is located around 4-5 kilometres from the centre of Bucharest, it’s easiest to visit by bus or taxi. The monument is in the centre of a roundabout and is best viewed from the pathways surrounding it. It is possible to get to the arch itself in order to admire the beautiful architecture more closely, but it takes patience and guts to cross the busy roundabout! As of 1st January 2019, it will be possible to access the rooftop terrace of the Arcul de Triumf. Until now the terrace has only been open to the public on special occasions, but the plan going forward is for it to be open all year round. We were fortunate enough to visit prior to the official opening and personally believe that it offers the best view in Bucharest. 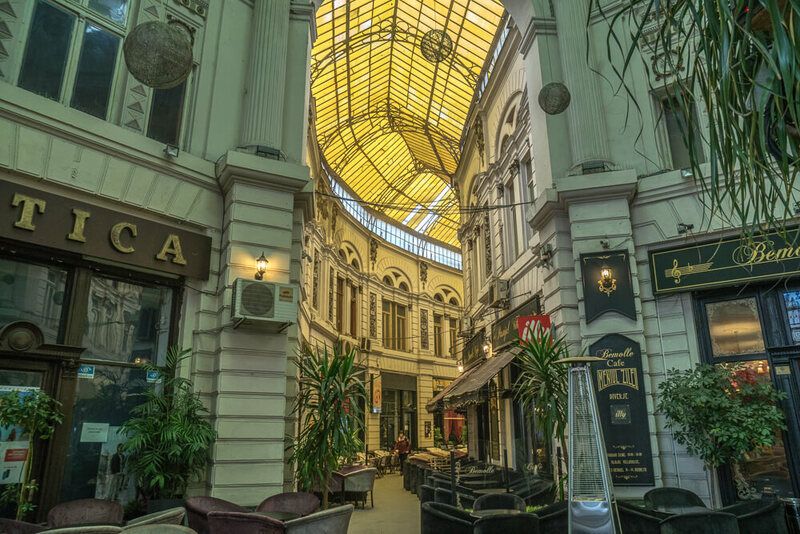 Pasajul Macca-Vilacrosse is a charming arcade in central Bucharest. This lovely indoor street has a yellow glass ceiling and was inspired by similar passages found in Paris. In recent years it has become known as the best smelling street in the city due to the various bars and cafes that serve shisha to customers. As the passageway is covered, the scents from the shisha smoke remain in the air and give the area a pleasant smell. The lovely architecture is reason enough to visit this pretty passageway at least once during your time in the city. 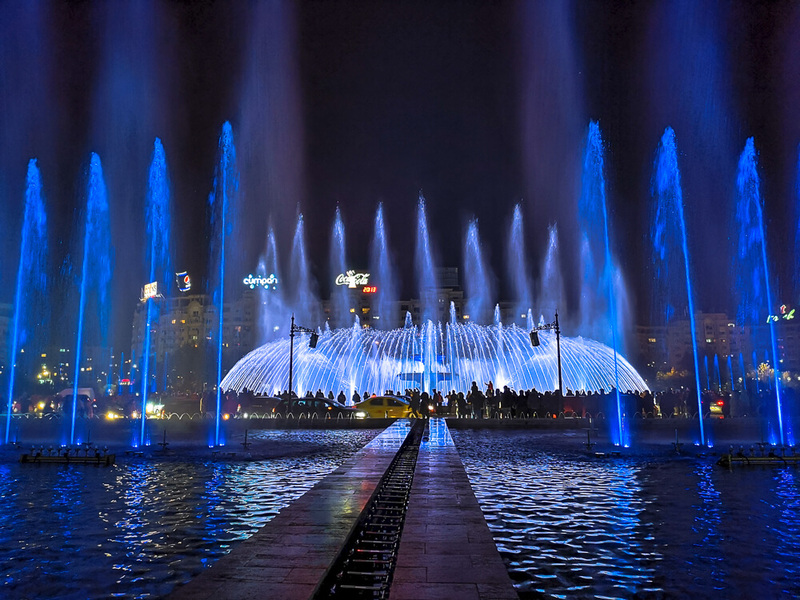 A new attraction in Bucharest is the fountain show at Piata Unirii. Originally built in the late 1980s, the fountains were refurbished during the summer of 2018 to accommodate a dazzling music and light show. The show will leave you amazed as the synchronised fountains send multi-coloured jets of water shooting up to 30 metres high into the night sky. The fountain show has now finished for 2018 due to the cold weather, with no confirmed start date for 2019. This year shows were every Friday, Saturday and Sunday night and so it is likely these shows will start up again sometime in Spring. 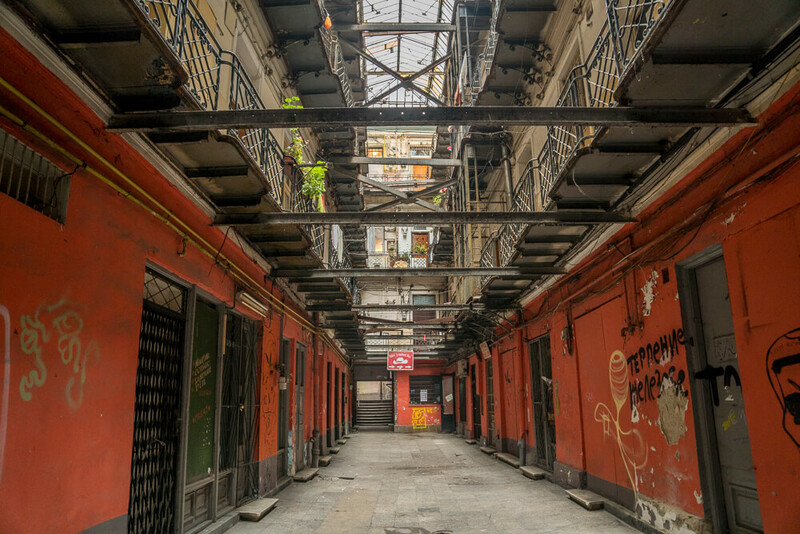 The walking tours in Bucharest are fascinating and were the highlight of our stay. 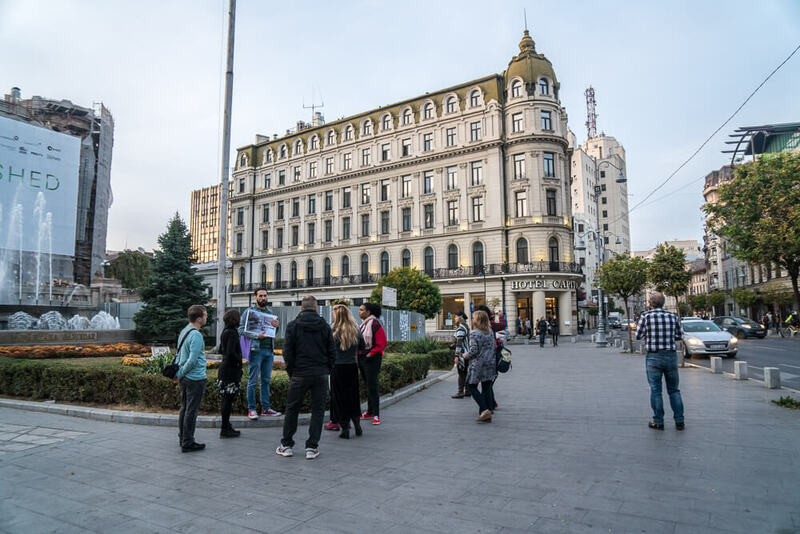 In our experience tour guides in the city have an incredible knowledge of Romanian history and will leave you hanging onto every word through brilliant storytelling. 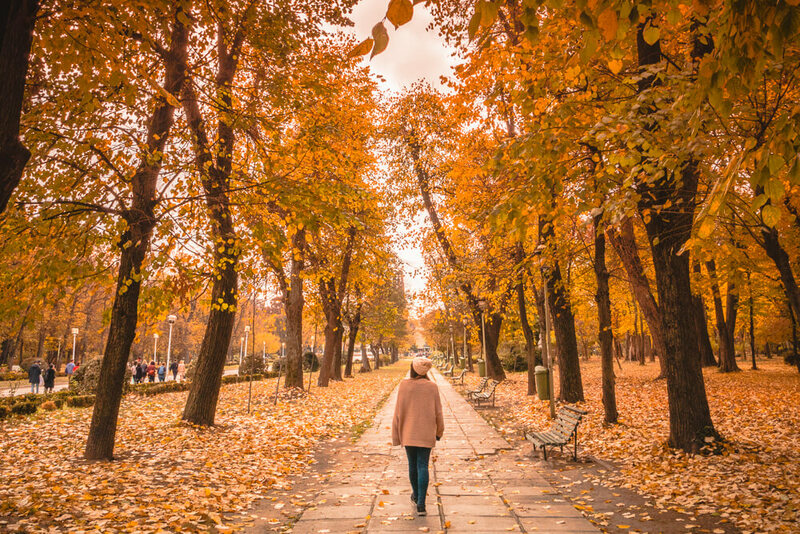 If that doesn’t convince you, many of Bucharest’s walking tours are actually free – so you really have nothing to lose! We particularly enjoyed the tours operated by BTrip – Bucharest Free Walking Tours. The Monarchy vs Communism walking tour, which runs daily at 10.30am, is probably the most interesting tour we’ve ever been on, so we really can’t recommend it enough! BTrip also offer an Old Town Legends and Stories tour, which runs on Fridays, Saturdays and Sundays at 3pm. Our guide, Ciprian, was captivating and extremely passionate about Romanian history, which made the tours both fun and informative. We’re confident that the other guides are just as good at their jobs too! To join one of the BTrip tours check their website for the meeting point and just show up on time! Another great option is to join one of the Walkabout tours. 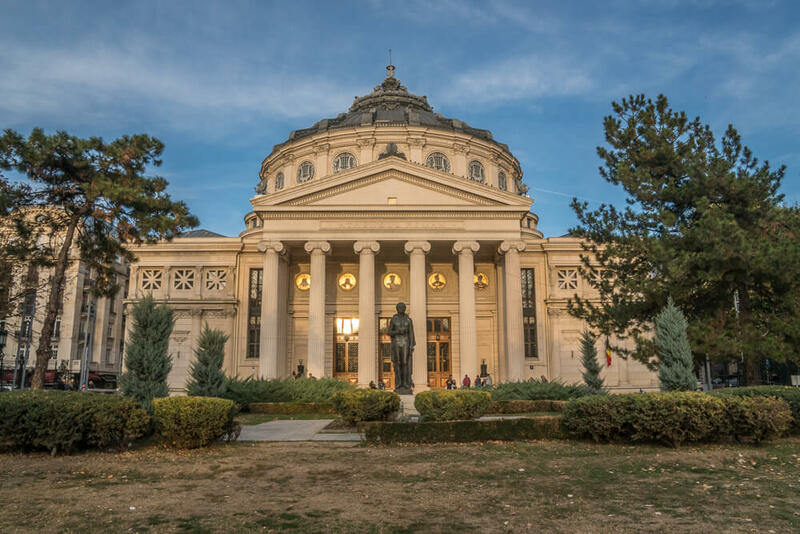 Their first tour is ‘The Story of Bucharest’, which runs daily at both 10.30am and 3pm and visits some of the most significant places in the city. They also run a tour called ‘The Royal Century’, which provides an insight into the impact the monarchy had on the city whilst showcasing beautiful architecture. There is no need to book in advance for the free Walkabout tours, just turn up to the meeting points specified on their website and away you go! Although these tours are free, tips and donations are always very welcome as a signal of your appreciation. If you enjoy the tours we recommend making at least a small donation if you have the money to do so. At some point on your trip you will inevitably find yourself walking along Calea Victoriei. 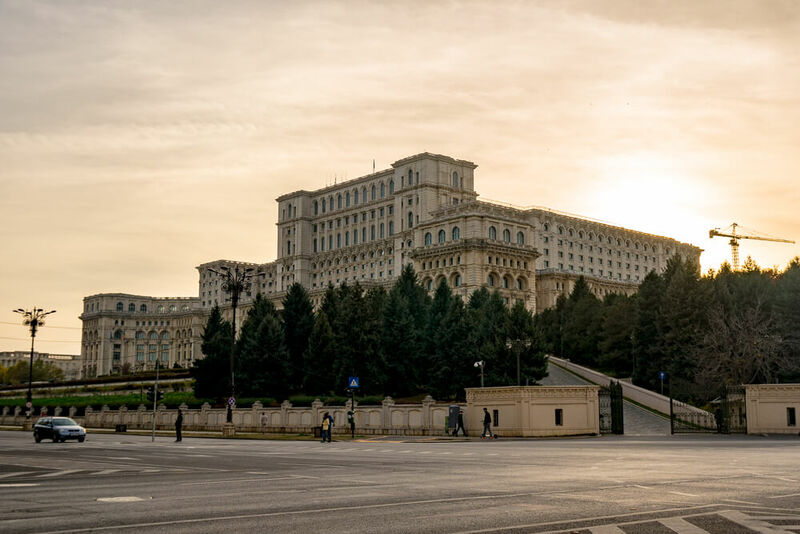 The street is home to some incredible architecture as well as a number of Bucharest’s most famous spots including the Romanian Athenaeum, Revolution Square, Pasajul Macca-Vilacrosse and much more. 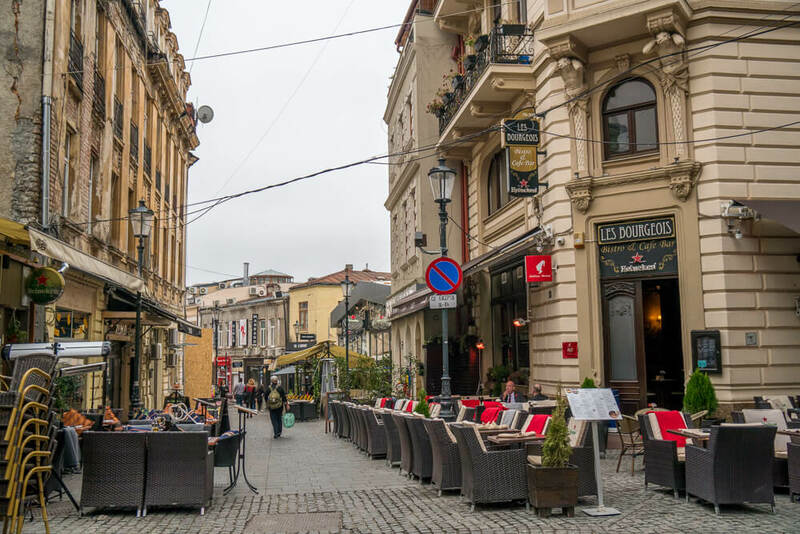 As one of the oldest streets in the city there’s plenty of significant spots to see, so make sure to stroll along Calea Victoriei at least once during your stay. 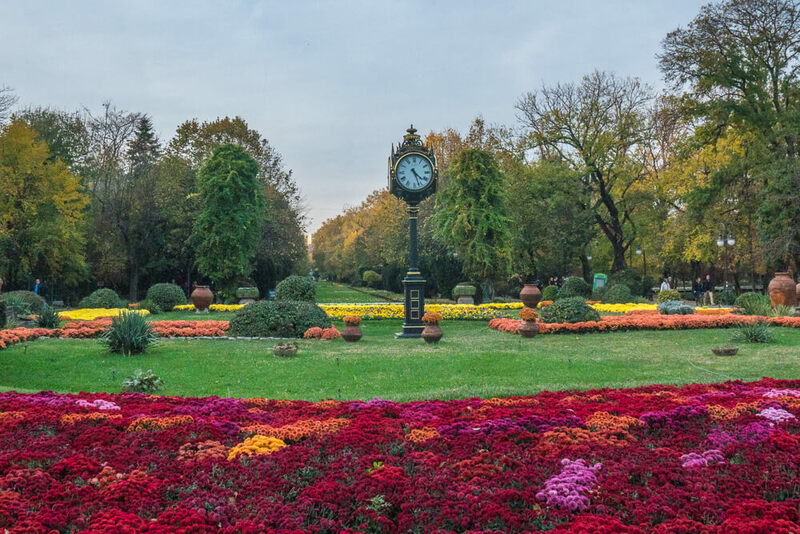 If you want a break from sightseeing whilst in Bucharest, there are a number of lovely parks and gardens in and around the city centre, perfect if you’re looking for a quiet spot to relax or take a walk. The Cismigiu Gardens are a great place to pass some time, particularly during summer when it’s possible to rent a boat on the lake. Another spot to explore is the pleasant Park Carol – named after Romania’s first monarch, King Carol I. If you’re visiting the Arcul de Triumf you can also combine it with a visit to the large Herastrau park. There are plenty of parks to explore, so if the weather is good it’s well worth taking the time to enjoy one or two of them! Every Sunday from 10am to 4pm there is an antique/flea market located by the main entrance to Park Carol. You’ll find a selection of different goods available, so it’s worth stopping by if you think you can grab yourself a bargain! Bucharest has a vibrant nightlife that has seen it become one of the party capitals of Eastern Europe. The Old Town has plenty of bars and clubs to choose from, with many staying open until 5am or even later! What’s more, drinks are cheap in Romania, so you can have a good time for less! Although the majority of bars and clubs are found in the Old Town, some of Bucharest’s most famous clubs are a bit further out. If you’re really looking to enjoy the nightlife then click here to read about the city’s best bars and clubs. Although many people opt just to admire the Athenaeum from the outside, the interior is equally impressive. A defining feature of the building is the 41 metre high monumental dome. The interior of the dome is wonderfully decorated and features a fresco depicting the history of the Romanian people. Concerts are still held in the 794 capacity concert hall at the Romanian Athenaeum, and are a wonderful experience if you’re able to get tickets. If not, it’s possible to visit the concert hall for just 10 lei per person when it’s not in use. 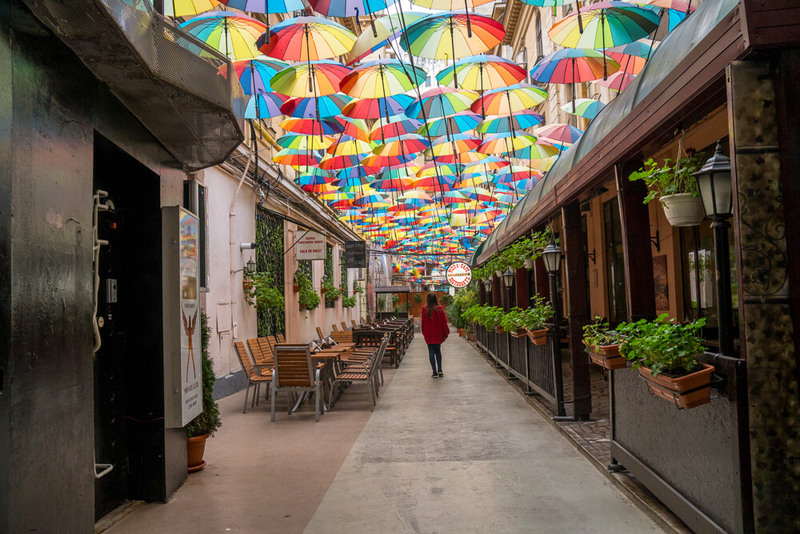 Pasajul Victoria, also known as umbrella street or umbrella alley, is one of the most colourful places in Bucharest. 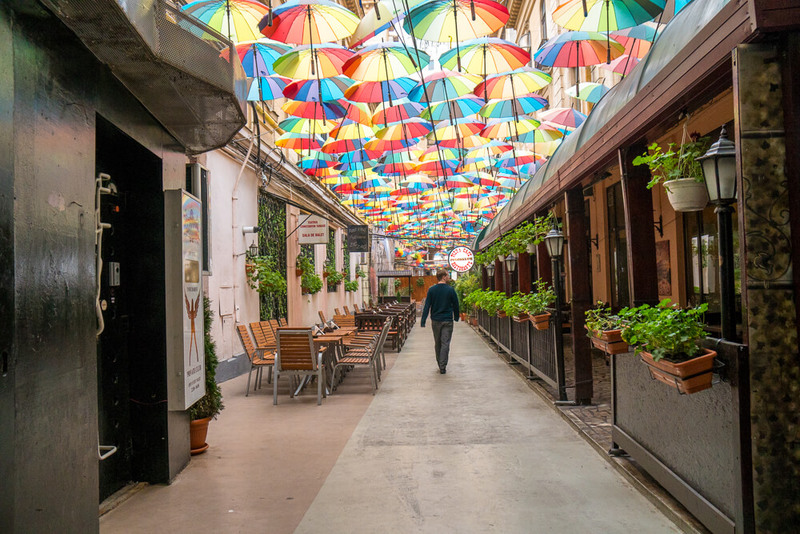 This quirky passageway is notable for the vibrant decorative umbrellas suspended above the street. It’s a lovely spot to visit if you’re looking to brighten up your day or just get a few colourful photos. To avoid having other tourists in your photos we recommend arriving early. We visited at around 9am and pretty much had the place to ourselves! 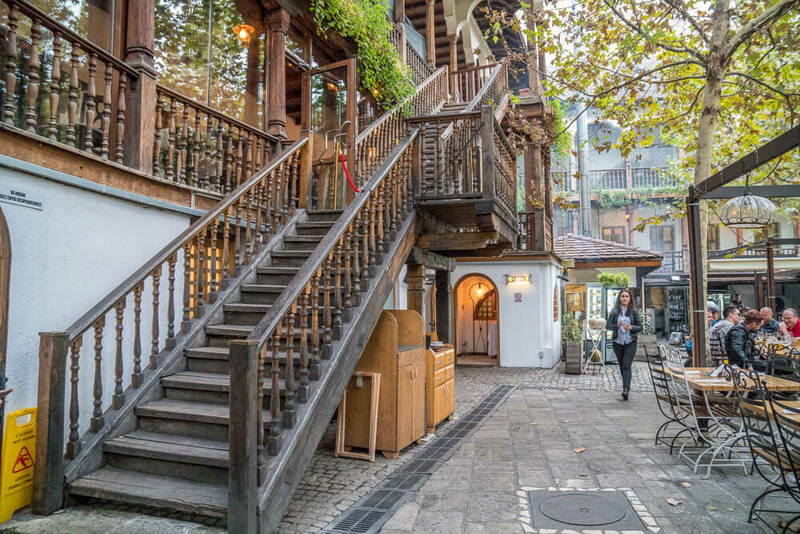 Located near umbrella street, the English passage is an interesting spot to visit due to its colourful history. This run down passageway was once a hotel, but proved to be unsuccessful due to the very small rooms. After a few years as a hotel it was transformed into a brothel to increase profits. It remained as a brothel until 1947, at which point the rooms were turned into apartments by the communist authorities. To this day locals still live in the apartments, albeit in poor conditions. Residents live in very small spaces and share one bathroom with an entire floor. The history of the passage makes it an interesting spot to visit, but it’s important to be respectful of residents while you’re there. In some cases residents have been known to throw things at tourists to deter loud and disruptive behaviour, so it’s best to make your visit a brief one! 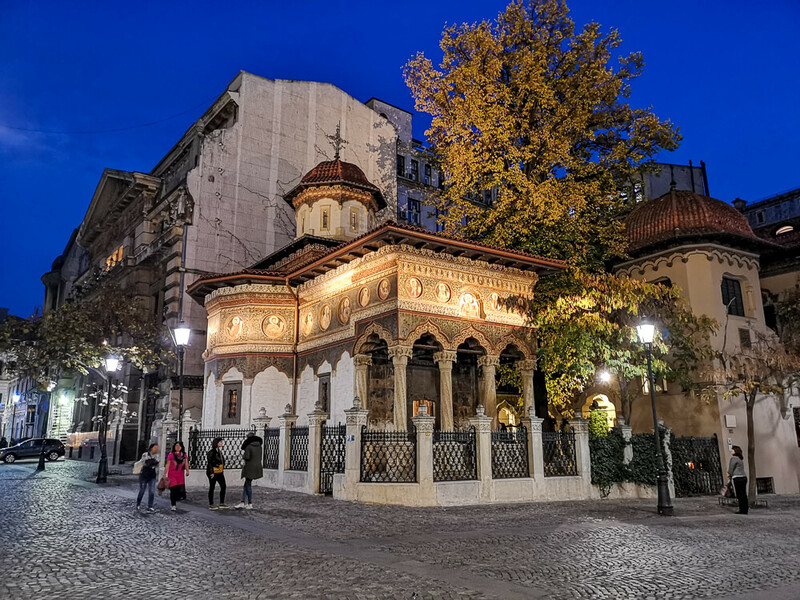 Almost 3 centuries old, the Stravropoleos Church and Monastery is a quaint spot in the heart of Bucharest’s Old Town. The church alone is enough reason to visit, and is notable for being a wonderful example of the stunning Brâncovenesc style of architecture. On top of this, there is a small courtyard within the monastery, which is a pleasant and peaceful place to visit, particularly during the warmer summer months. The church and monastery were originally built in 1724. By the end of the 19th century the monastery was in such poor condition due to a number of earthquakes and fires that it was demolished. The church is actually one of very few churches in the area to survive the Great Fire of 1847. In the early 20th century the monastery was rebuilt and the church was restored. To this day it is still an active Eastern Orthodox monastery for nuns. Entrance to the Stravropoleos Church and Monastery is free, and so it’s definitely worth at least a quick visit to enjoy the wonderful architecture and courtyard. The Revolution square is one of the most significant landmarks in both Bucharest and all of Romania. It is here where communist dictator Nicolae Ceausescu made his final speech on December 21 1989. After an uprising in Timisoara, the speech was planned to give the impression of mass support for Ceausescu. A crowd of over 100,000 people gathered with instructions to show support, but instead they began to boo Ceausescu. Riots and protests ensued, and before long the crowd were being shot at and attacked by soldiers, resulting in many casualties and deaths. Realising he had been made to look weak, Ceausescu fled by helicopter the next morning, but was captured and killed four days later. In 2005 a monument named the ‘Memorial of Rebirth’ was installed in Revolution Square to commemorate the struggles and victims of the Romanian revolution. Standing at 25 metres tall, the monument is made up of a large pillar reaching skywards through a metal crown. The monument proved unpopular due to the design and the fact it cost €1.5 million to the Romanian taxpayers. It has often been mocked and referred to as a ‘potato on a stick’, and was vandalised in 2012 with red paint, which can be seen dripping from the ‘potato’ or crown. As the paint is placed so high up it has not been removed, and some locals prefer it this way as it symbolises the bloodshed of the revolution. The square is home to the former headquarters of the Romanian Communist Party, as well as the Royal Palace of Bucharest, University Library, a statue of King Carol I and more. 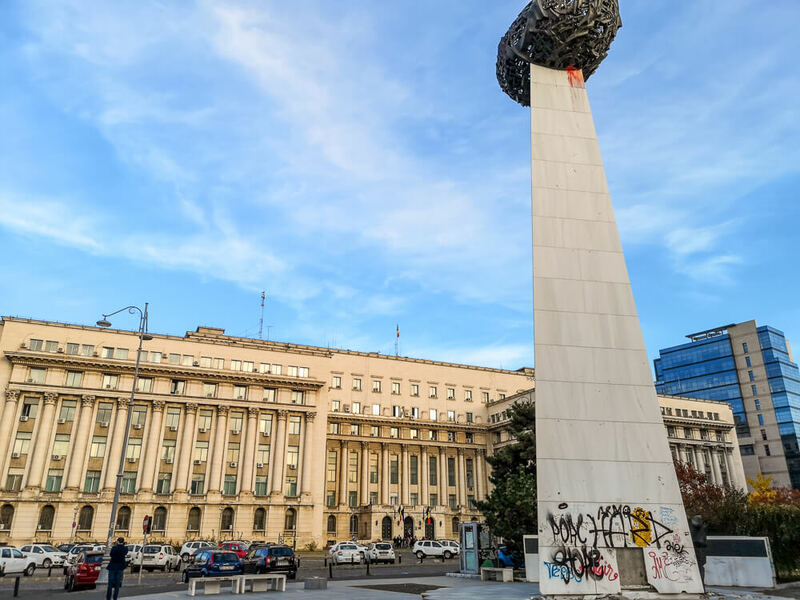 As the location of one of the most important events in Romanian history, Revolution Square is an extremely interesting place to visit. Some of the aforementioned walking tours will visit the square and will give you a brilliant insight into the history. At first glance Carturesti Carusel may seem like just another bookstore, but the beautiful interior makes it one of the most Instagrammable spots in Bucharest. 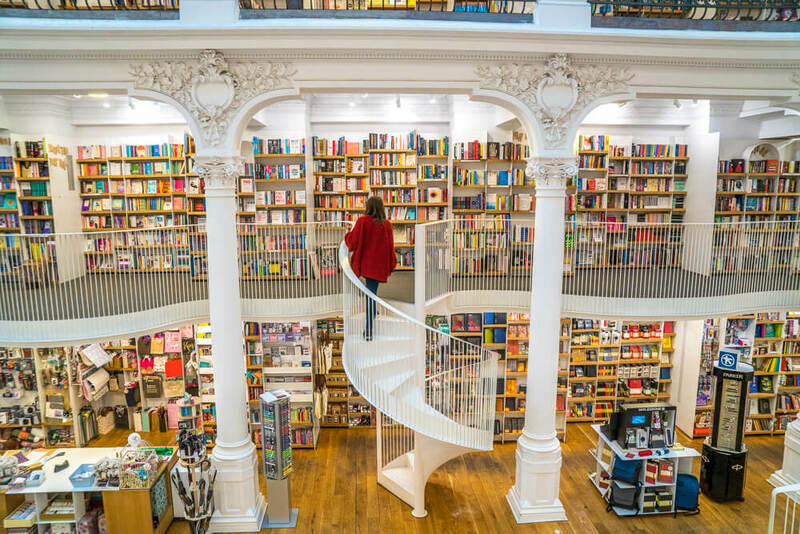 What was once a 19th century bank has recently been converted into a wonderfully photogenic bookshop, complete with spiral staircases and over 10,000 books. Carturesti Carusel is located in the Old Town and it’s well worth popping through the door for a quick look if nothing more! Built in the 1808, Manuc’s Inn is one of only 3 surviving 19th century inns in Bucharest’s Old Town. Following restoration works the inn is a popular spot to visit, largely thanks to the pleasant architecture and beautiful interior courtyard. In the 19th century, Manuc’s Inn was an important commercial complex, with vendors gathering here to sell their goods. The inn is one of Europe’s last remaining caravanserais – roadside inns for travellers and traders. Although it is currently not possible to stay at the inn, you are free to admire the lovely interior. There is also a restaurant in the courtyard if you’d prefer to sit and enjoy the inn for a little while longer. Inaugurated on 25th November 2018, the People’s Salvation Cathedral isn’t due to be completely built until 2024. 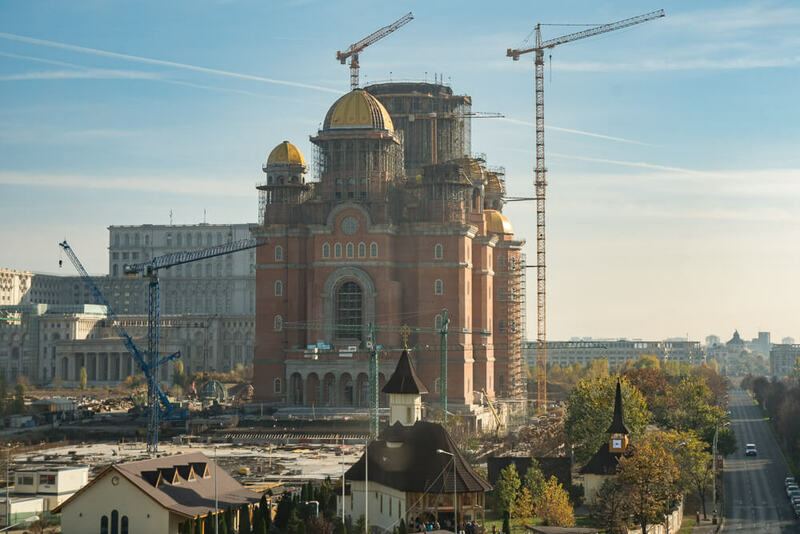 Upon completion it is due to be the largest Orthodox Church in the world by area, volume and height. Although the cathedral isn’t finished, it’s still a fairly impressive sight to take in and it’s certain to be remarkable once completed. Construction of the cathedral has caused controversy due to it being funded by public money, which many argue would be better spent paying for infrastructure such as schools and hospitals. The cost of construction has exceeded the original estimate by over €30 million and it is expected that tens of millions more will be spent before the project is finished. Situated behind the Palace of Parliament, the People’s Salvation Cathedral will be 135 metres tall once it’s finished. This will make it around 50 metres taller than the Palace, and will help to make the Cathedral an iconic landmark in Bucharest. 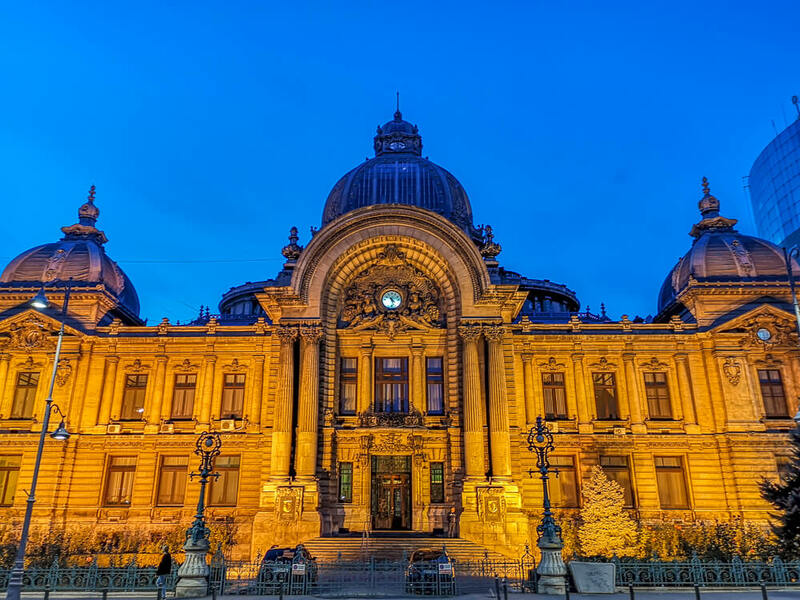 Located on Calea Victoriei, CEC Palace is the headquarters of the state-owned CEC bank. The palace is truly beautiful thanks to the exquisite French Renaissance style architecture. It is topped with a towering glass and metal dome in the centre, with 4 smaller domes on the corners of the building. Construction of the palace was completed in 1900, and its unique design was particularly helpful to the bank’s customers. Due to the way in which the sound travels upwards in the building, conversations cannot be overheard, helping to provide high levels of privacy. Although the imposing design makes it a wonderful sight at any time of day, the palace is particularly beautiful at night when lit up. Unfortunately it is not possible to go inside the CEC bank, but don’t let that stop you from admiring the impressive exterior! 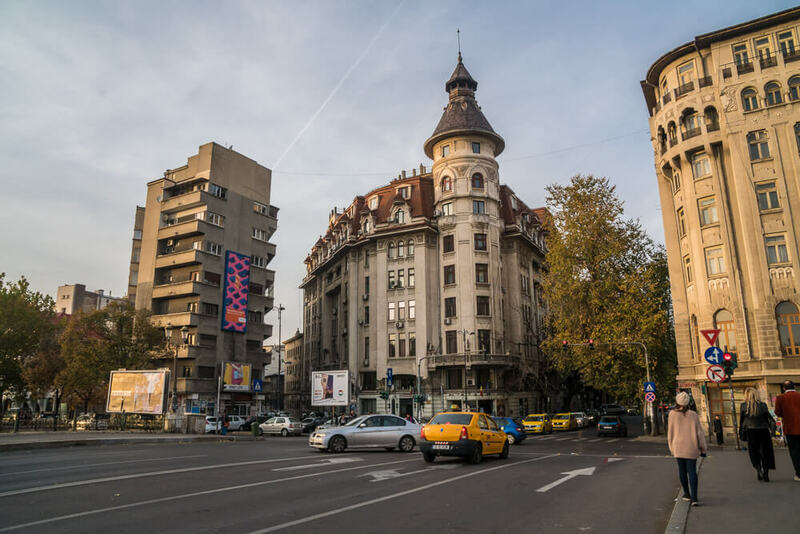 By simply wandering around the streets of Bucharest you will see a range of different architectural styles. So many of the buildings are impressive in their own way, whether it be the orthodox churches, palaces or whatever else you happen to stumble upon. We recommend taking a while to simply admire the beautiful buildings and the difference in architectural styles, as the contrast gives a unique feeling to the city. If you’re looking to see a bit more of Romania, there are some great options for day trips from Bucharest. Our personal recommendations of where to visit would be Peles Castle and the Libearty Bear Sanctuary. The magnificent Peles Castle is known for being one of the most beautiful castles in Europe. 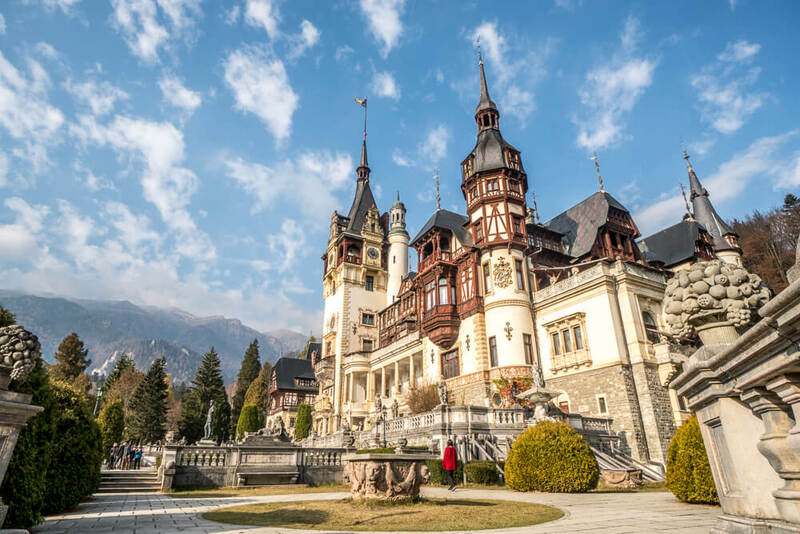 It served as the summer residence of the Romanian royal family until 1947 and the brilliant Neo-Renaissance architectural style make it a spectacle not to be missed! The Libearty Bear Sanctuary in Zarnesti is a wonderful place that does amazing work caring for mistreated bears – many of which were kept in tiny cages from a young age for the entertainment of tourists. Fortunately, due to the incredible ethical work of the sanctuary, around 100 rescued brown bears now live in large enclosures in the forest. It’s possible to visit the sanctuary to see the work they do and get the unique opportunity to see these fascinating animals up close. Tours run twice daily, with proceeds helping to fund the costs of running the sanctuary! Another option is to visit Bran Castle, famously known as Dracula’s Castle. The castle has become associated with Bram Stoker’s famous character Dracula, making it a popular spot to visit on a day trip. Although this gothic castle is impressive, we were slightly underwhelmed and much preferred Peles Castle. We’d recommend prioritising both Peles Castle and the Bear Sanctuary, and then making your way to Bran Castle if you have time afterwards. If you don’t fancy taking day trips then we recommend spending a few days in Brasov as its closer to Peles Castle, the Libearty Bear Sanctuary and Bran Castle. Located around 20 kilometres from the city centre, Therme is a large spa complex and is the perfect spot to relax and unwind during your stay in Bucharest. Thermal waters from underground are used to supply 10 pools, 6 saunas, 4 wet saunas and 16 water slides. The largest botanical garden in Romania is also situated within the complex, which makes it the ideal setting for total relaxation! Click here to check out Therme’s official website! There’s plenty of street art and graffiti to enjoy in Bucharest, if you’re willing to get out and explore! During the communist rule creativity and freedom of expression were suppressed, and any form of graffiti could have led to trouble with the Securitate (secret police). This is no longer the case following the revolution and so there are a number of great spots to visit for street art and graffiti in the city. 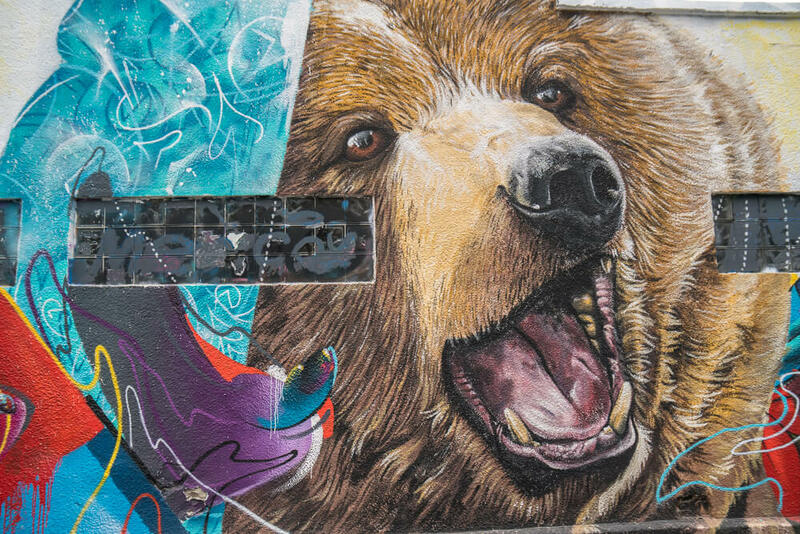 Click here for a guide to the best street art in Bucharest! 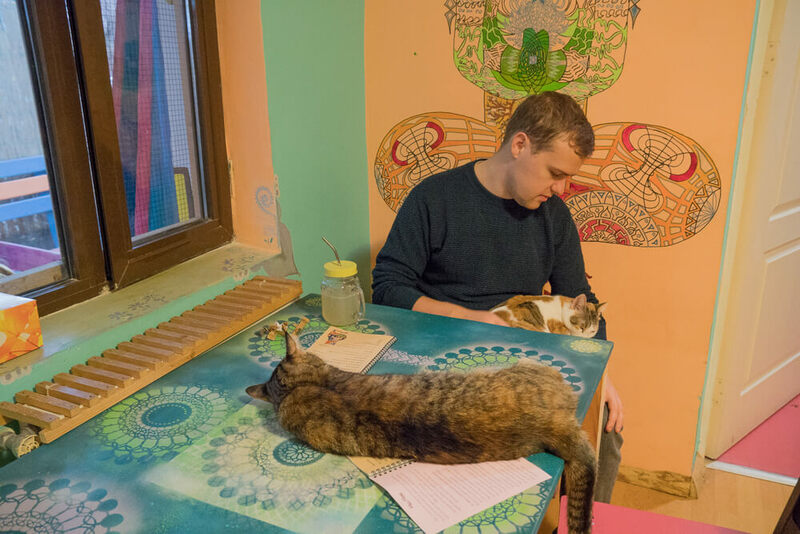 One of the more unusual things to do in Bucharest, and an essential for any cat lovers, is visit the Miau cat café. The café is home to some extremely friendly cats that are very comfortable around people. During our visit one of the cats even jumped up onto my shoulders and fell asleep lying across the top of my back whilst I was sitting up! The cats are playful and seemed grateful for some affectionate company. If you like cats then this really is the perfect place to relax for an hour or two. The café is around a 30-minute walk from the Old Town and serves up a good variety of non-alcoholic drinks. Click here to visit the café’s facebook page! Unless you plan on travelling over land, the easiest way to get to Bucharest is by flying into the Henri Coandă International Airport in Otopeni. Often referred to as simply Otopeni airport, it’s located around 16.5 kilometres north of Bucharest’s city centre. To get to the city you have the choice of taking a bus, train, taxi or renting a car. If you do plan on travelling over land, a number of buses run to Bucharest from around Europe. Click here to search to buses to Bucharest from cities across both Romania and Europe! Bus – The cheapest way to get from Otopeni airport to Bucharest is by express bus. There are 2 bus routes from the airport to the city, but you will most likely want bus number 783 as this goes to the city centre. If you’re staying slightly further out you may want to take bus 780, which goes to Gara de Nord – the city’s main railway station. Both buses run day and night from the airport to the city, with a one-way journey costing just 3.50 Lei. Depending on how close the stops are to your accommodation you will have to either walk or catch a taxi for the final part of the journey. Click here for more information and the bus schedule from the airport to Bucharest. Train – Trains are available from the airport if you take a shuttle bus from the arrivals terminal to the airport train station. These tickets can be purchased in the arrivals area for 6.80 Lei, with the trains arriving into Gara de Nord. Peronally we’d recommend taking the bus instead as it’s cheaper and there is also one going directly to Gara de Nord. Click here for more information on catching the train from the airport. Taxi – The easiest way to get from Otopeni airport to Bucharest city centre is by taxi. You can easily order a taxi from a machine in the arrivals section of the airport. There are a few choices of taxi company and the price per kilometre will show up on screen before you select which company to pick. The price per kilometre does vary by operator, but a reasonable price to pay is around 2 Lei per kilometre. As soon as you select a company a small receipt will print out with the taxi registration number on. Simply head outside and wait a few minutes for your taxi to arrive. It should take around 30 minutes to the city centre by taxi, with the cost being around 30-50 Lei depending on the taxi operator and where your accommodation is located. Alternatively you can use an online taxi service such as Uber or Taxify. The cost will vary depending on how busy it is. It can also be hard to arrange a specific pick up location for online taxis, and so we found it easier to use a normal taxi as they are quite cheap anyway! 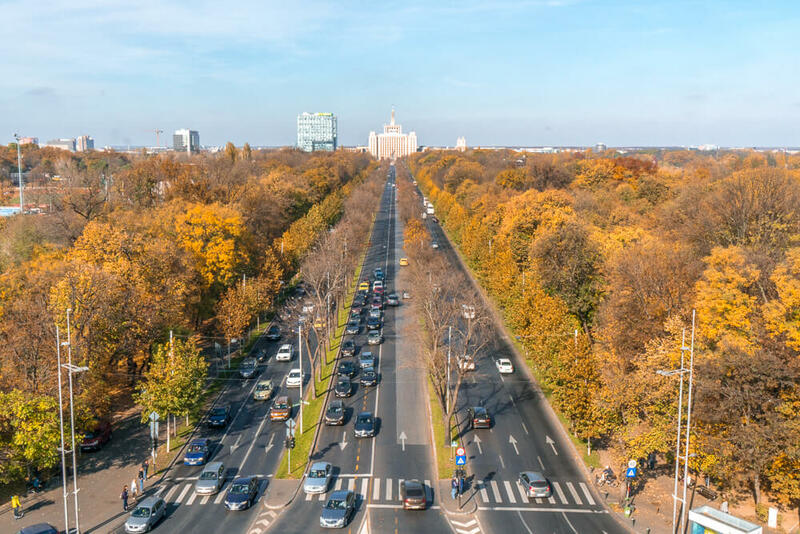 Renting a car – If you just plan to visit Bucharest itself then renting a car probably isn’t worth it, but if you’re also planning to see some more of Romania it’s a great option. We visited in November 2018 and were able to rent a car for less than £2.80 ($3.60 USD) per day for 10 days, which is incredible value. Driving between cities is extremely easy as the roads are generally in very good condition. If you do want to see more of Romania we strongly recommend renting a car so you’re in complete control of your itinerary! Click here to find a great deal on a rental car from Bucharest airport! If you’re staying in the city centre of Bucharest then most of the attractions are within walking distance. For anything slightly further out a cheap and easy option is to book an online taxi through Uber or Taxify. Both apps provide reliable price estimates in advance of booking and offer very competitive prices that usually work out at around 1.5 Lei per kilometre! You can also opt for a normal taxi, but if you do make sure you check the price per kilometre in advance (it should be marked on the outside of the taxi) and ensure that the driver is charging by the metre rather than a set fare. Alternatively you can get around using buses, trams or the metro. We personally didn’t use the buses, trams or metro in the city as it was so cheap and convenient to get around by taxi and on foot. 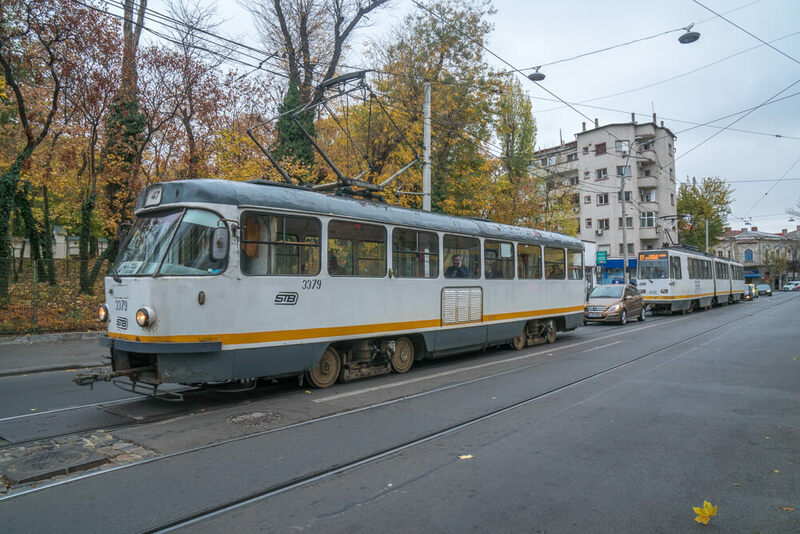 If you do plan to travel by bus, tram or the metro then click here to read more about public transport in Bucharest! Bucharest is a lovely city and you’re sure to have an amazing time whenever you decide to visit. If you’re looking for good weather, then visit between May and September, as on average these are the warmest months. This time of year is likely to be busier, but thankfully the city isn’t as overrun with tourists as other European cities. We visited in November and got quite lucky with the weather as it wasn’t too cold. Visiting at this time meant we got to see the city’s parks in autumn, which was a truly lovely sight. If you’re willing to risk the colder weather then it’s still well worth visiting in late autumn. The winter weather in Bucharest can get pretty cold, and it’s not uncommon to see snowfall during the months of December, January and February. While this is a lovely sight, you will need to be prepared to brave some very cold temperatures if you visit at this time of year. Just a short walk from the Old Town, X Hostel is one of the best places to stay for private rooms on a budget in Bucharest. One of the main advantages of staying here is the great location as almost all of the city’s main attractions are within walking distance. Rooms are fitted with air con for the warmer summer months and also have a private bathroom. Rooms start from just 160 Lei ($39 USD) per night. Click here to see the latest prices at X Hostel Bucharest! The Bucharest Comfort Suites Hotel is a very reasonably priced option and is located just outside the Old Town. Rooms at the property are fitted with air conditioning, and are spacious and comfortable. On top of that, staff at the hotel are extremely helpful and will assist wherever they can during your stay. Rooms at the Bucharest Comfort Suites Hotel offer great value for money, starting from just 245 Lei ($60 USD) per night. Click here to see the latest prices at the Bucharest Comfort Suites Hotel! Located in the Old Town of Bucharest, the Hilton Garden Inn is unquestionably one of the best hotels in the city. The location really couldn’t be any better, with so many of the main attractions just a few minutes walk away. As you’d expect, rooms at the hotel have everything you need and are extremely comfortable, making for a great place to relax after a long day of exploring the city. Rooms start from just 411 Lei ($100 USD) per night, which is brilliant value considering the location and the quality of the hotel. Click here to check out the latest prices at the Hilton Garden Inn for your trip to Bucharest! Disclaimer: Our visit was part of a press trip organised by the team at Experience Bucharest. All opinions in this article are our own and are our honest recommendations of what to do in Bucharest. Like this travel guide to the best things to do in Bucharest, Romania? Pin it!